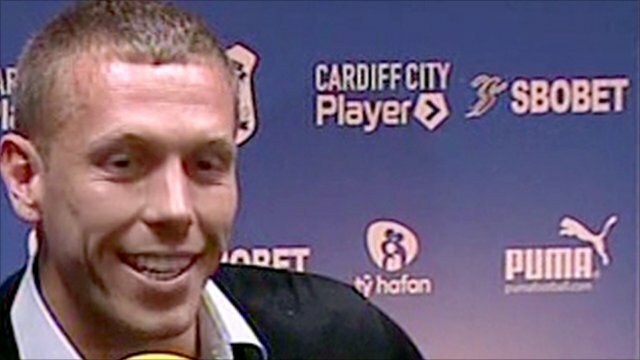 Craig Bellamy says he has joined Championship side Cardiff City on a season-long loan deal from Premier League Manchester City to "come home". The striker, 31, added there were no hard feelings towards Manchester City boss Roberto Mancini after being left out of their plans for the season. "My wife and kids live here and I've spent the last six years travelling up and down the road," said Bellamy. "I left home at 15. I've always wanted to come back," the Wales captain said. Bellamy was unveiled at a Bluebirds news conference on Tuesday and hopes to help them win promotion to the Premier League after they narrowly missed the chance last season. The move to Cardiff is a step back in footballing terms, but Bellamy maintains it is a positive change for him and for the club in the city of his birth. "Nothing's difficult about this," he said. "I had the greatest time at Manchester City at a great period in their history. Bellamy declined to comment on reports Manchester City would not allow him to join a rival Premier League club, but praised Mancini. "There's no ill feeling," he said. "I hope he does well, he's a top manager." Cardiff boss Dave Jones said: "We've been talking about this behind closed doors for a few months. "I wanted to make sure he was coming for all the right reasons, not just because his family's here but to help this club achieve what we all want." Bellamy said the chance to spend more time with his family was a prime motivation for joining Cardiff, and he does not expect the second tier to be easy. "I wanted to come back at the top of my game. I've come down to the Championship willing to put my neck on the line. "It's probably the hardest football decision I'll have to make in my career. "I grew up in this league and it's tough, and that gives me excitement as well. It's a great challenge for me." The deal has left Scottish club Motherwell fuming over what they say is a £175,000 debt owed to them by Cardiff after Paul Quinn joined the Bluebirds in the summer of 2009. Motherwell say they are considering issuing a winding-up order against the Bluebirds to recoup the money. "I'll be working hard with my new team-mates to bring success to the club and look forward to our next Championship game on Saturday," added Bellamy. "I'm sure that all City fans will play their part in driving us forward this year. It has been my dream to play my part in taking my hometown club to the Premier League, which would be fantastic for the football club, the city of Cardiff and Wales." Cardiff boss Dave Jones said: "Bringing Craig to Cardiff is another big step in the development of this football club and I am delighted that he has agreed to join us on a season-long loan. "Like recent additions Jason Koumas and Seyi Olofinjana, Craig is a great talent and adds to the quality players that we have here. "We will continue to work on taking the next steps as a club and hope that all Cardiff City supporters join us in welcoming Craig by turning up in high numbers this season." Bellamy, whose colourful career has taken in eight clubs already and cost nearly £45m in transfer fees, had earlier been given permission to train with Cardiff by Mancini. The player had already been told he would be left out of City's 25-man Premier League squad due to be finalised by 1 September and had also been linked with moves to Tottenham, Fulham, Celtic, Everton. Manchester City will be happy he has moved to the Championship rather than a Premier League rival. Bellamy himself was so exasperated with his situation at Eastlands that he even spoke last week of quitting football altogether. 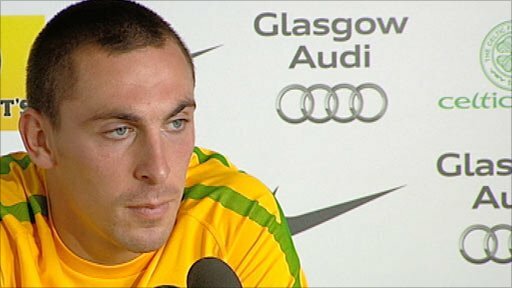 "This game is ruthless; I might finish, full stop," he stated at a Wales press conference. Bellamy has been a Premier League regular since joining Coventry from Norwich in 2000 - except for a five-month loan stint at Celtic during his time at Newcastle United - and has also played for Liverpool, West Ham and Blackburn Rovers.